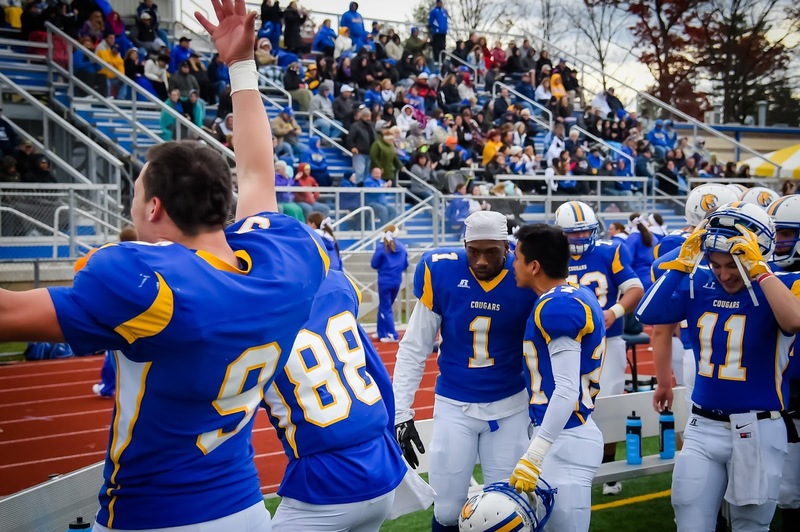 MAC Football News: Mr. MAC's Pick Results Week 10 - MAC Champion hopes dashed? Mr. MAC's Pick Results Week 10 - MAC Champion hopes dashed? I said this game would be a toss up and gave my pick to home field advantaged Stevenson. Obviously, that did not happen as a very good Albright team was the last one to stand. Also Albright finds themselves back in first place all alone due to the Lycoming over DelVal victory. 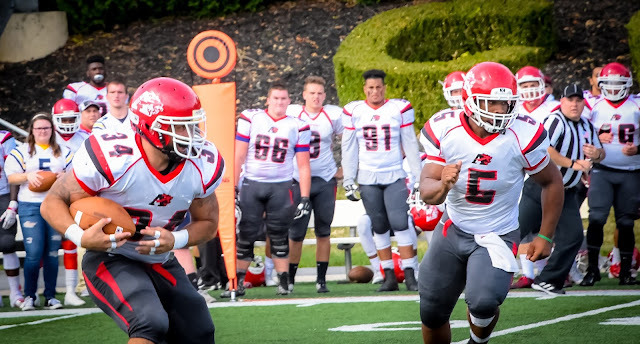 All year long, Albright has played exceptionally well in the second and third quarter. Saturday was not an exception. The Lions scored 27 of their 39 points in that time slot. And the Lion's defense was rock solid in the second half giving up only five points to the Mustangs. I did get the spread almost perfect however but for the wrong team. The back breaking play for Albright was JaVaughn Patterson’s 2nd quarter interception. He returned that ball 95 yards to change the momentum of this game. This was a big blow to the Stevenson offense and that offense fell just a little short. Now, Albright has to get past rival Lebanon Valley this Saturday to win the MAC Championship. Should be another great game. We sure love MAC football. My Prediction was: Stevenson 27 - Albright 24.
Who saw this coming? Nobody, except maybe the Lycoming football team. Actually, they probably put this game into "It would be a great win" category. In an interview with head coach Mike Clark, he lamented about the season. Mike pointed out that the loss to Widener the previous week was the worst loss in over a decade. He was not sure how the team would respond. And then there was plenty of doubt. DelVal's wide receiver and kickoff returner Eric Shorter returned a 97 yard kickoff for a touchdown with just 24 seconds left in the first half. This made the score 28-14. To make matters worse, Delaware Valley University scored again on their first possession of the second half. Eric Shorter was again the culprit catching a 14 yard pass from quarterback Dashawn Darden. It capping an 85 yard drive. 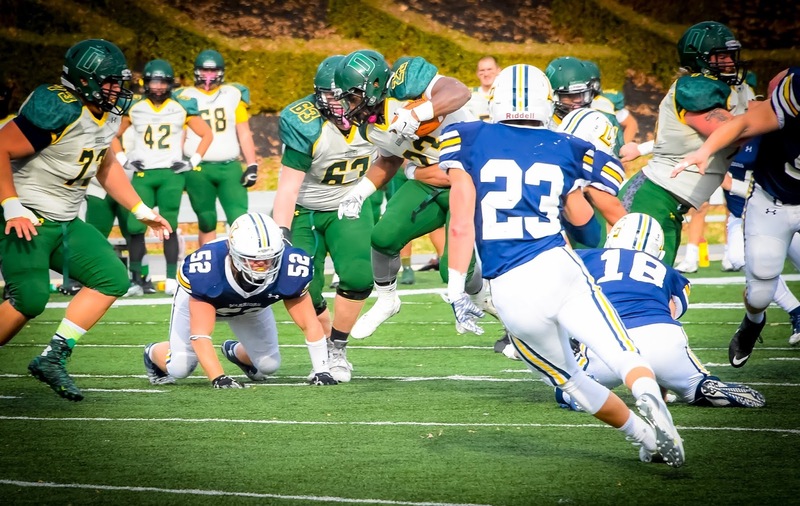 DelVal felt secure with a 35-14 lead in this game. Lycoming however would pull off one of the biggest comeback wins in their history, It started with a16 yard touchdown pass to Sr WR Pat Whalen, a two yard run by Jr RB Blake Bowman, and a 11 yard scramble by Jr QB Chase Whiteman. But the biggest drive of the day was a must score from 99 yards out. Sr WR Ryan Umpleby caught an 11 yard pass from Chase Whiteman to cap off the drive. The score was now 42-40 DelVal's favor. Lycoming needed a two point extra point to tie the game and move it into overtime, But a bad snap cause QB Chase Whiteman to scramble into the arms of the Aggie defense. 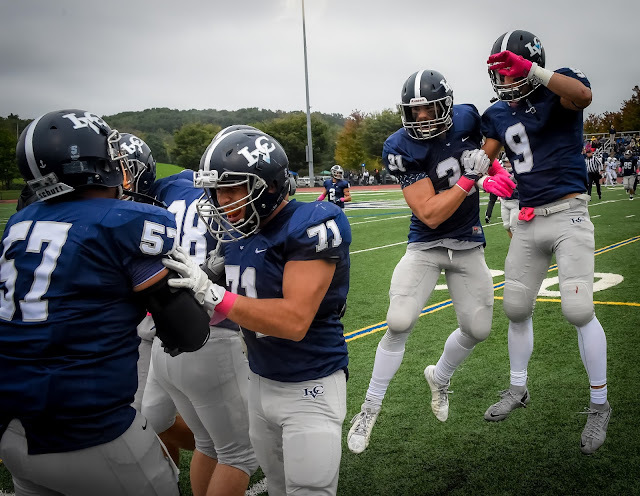 Then, Lycoming tried an onside kick by Sophomore kicker Devon Flynn and the Warriors recovered the perfect kick with 55 seconds on the clock. Winning kick - Finally after a seven play forty yard drive using 50 seconds, Devon Flynn kicked a center cut 32 yard field goal for the win. Flynn, after missing a field goal and extra point earlier in the day talked about that kick in a Lycoming video interview. Here King's goes again. Playing a very good team close, but coming away empty. How many times this year has this happened to them? It must be frustrating for the coaching staff and the players by now. The highlights were pretty simple. Defense was the name of the day for both teams. The Dutchman scored early when a forced SAC fumble on King's quarterback Tom Hehre turned the ball over. Then Lebanon Valley's Gary Wise scored on a 33 yard pass from quarterback Tim Pirrone on a one play, 33 yard drive that took eight seconds. The Dutchman never looked back after that. The Devils from Madison played Widener to a 7-6 first quarter. FDU scored first but the extra point was blocked, With 1:20 on the clock in the quarter, Widener scored. It was halfway through the second quarter with the score 16-12 in Widener's favor, when thingsl started to go south for FDU. That is when the Pride explosion happened. 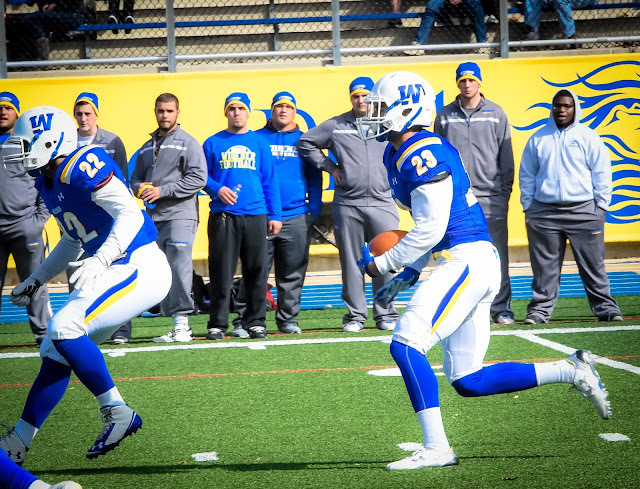 Widener’s Ka'shawn Garnes ran a blocked FDU PAT 98 yards for two points, Blaine Price caught a 20 yard pass for a touchdown. Then Blaine Price pulled down a 25 yard pass to make the score 30 to 12. Widener scored three times in the third quarter. Robert Getz plunged over from the one yard line, Philip Ragona caught a 13 yard pass for six more and kicker Ryan O'Hara Added two field goals, a 39 and 30 harder. FDU-Florham just did not have the horses to keep up with Widener. I picked this mild upset and it was a good thing. If not, I would have been under .500 for the week in picks, the first time this year. I'm not sure why I picked Misericordia. I had this feeling they would get there first win. They have been playing better, it was senior day in Dallas, PA. I even picked the spread. How did the cougars do it? They scored two touchdowns in the first quarter to go up 14-0 over the Colonels. The second and third quarters were a draw as both teams scored one touchdown in both periods. Wilkes tried to come back in the fourth quarter putting up 10 points against a Misericordia field goal. Senior day and the Cougars celebrated there first win of the year.